Are electronic security cabinets reliable? As we saw in the previous blog, electronic security cabinets are the ideal solution, both from the point of view of security and ease of use, especially when the cabinet has to be used by more than one person, as they eliminate the problem of having to manage various keys, with the risk that they fall into the wrong hands. Moreover, biometric solutions also free from one from the problem of having to remember the access codes. However, as there are so many advantages, some people worry that such a technologically advanced system, such as the electronic one, may be less reliable than a simple mechanical solution. In fact, manufacturing electronic security cabinets which are just as reliable as mechanical ones, but which are easier to use and more secure, is absolutely possible. However, it is true that not everyone is able to do so. 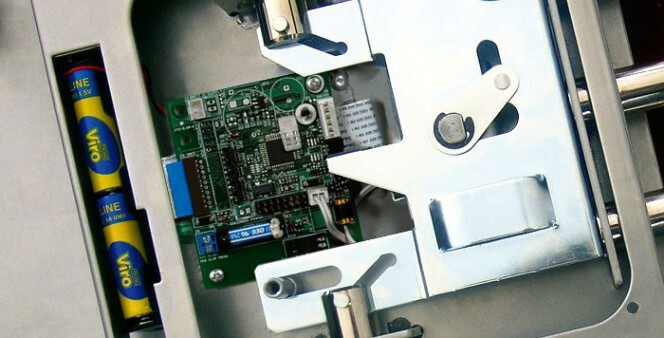 In order to be reliable, the electronics of a security cabinet must in fact be designed and produced specifically for the task that it must perform, because it must satisfy several requirements, in the same way as for safes However, low cost security cabinets, especially if they are produced in the Far East, often use generic commercial electronic boards which have been adapted, and they are unable to fully satisfy all these requirements. One can therefore buy an electronic security cabinet with confidence provided a manufacturer specialising in this field is selected. What happens if the batteries run flat? One of the most common fears concerning electronic safes and security cabinets is that it is not possible to open them if the batteries run flat. Also in this case, the difference depends on the quality of the product. A good quality security cabinet warns well in advance when the batteries are running out, so that they can be replaced well before they are completely flat. One of the features of well designed and manufactured electronic security cabinets is also that the battery consumption is constant and gradual, thereby avoiding the unpleasant situation in which until the day before the warning the batteries seemed to be charged and then just a few days later the cabinet will no longer open. Lastly, a good quality security cabinet has a low power consumption, so the batteries need to be replaced only very rarely. 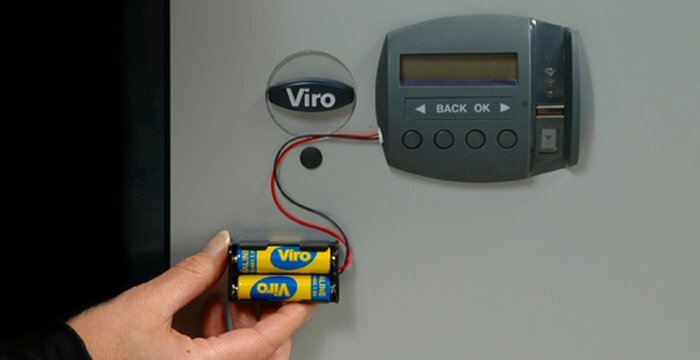 Viro security cabinets, for example, are able to perform up to 10,000 operations with the same batteries before they run flat. Nevertheless, especially if the security cabinet is rarely used, the batteries can run out without the user having had time to replace them. For this reason, electronic security cabinets are provided with a emergency key which allows them to be opened even when the batteries are flat. Since it is only to be used in true emergency situations, this key does not pose major security problems, as it can be easily kept in a place different from that in which the cabinet is located (it is important not to keep it in the cabinet itself!) However, some cabinets, such as the Viro Ram-Touch, even offer the possibility of connecting an external emergency battery pack, so that the cabinet can be opened and the internal batteries replaced. The external battery pack connected to a Viro Ram-Touch cabinet. An electronic security cabinet may be purchased without any concerns, provided that a good quality one is chosen. 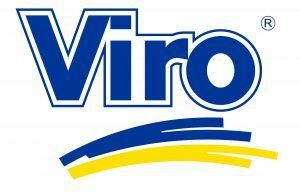 Viro, for example, has been manufacturing electronic safes and cabinets for 30 years, since it launched Ram7 in 1985; the first electronic safe made in Europe. You can see the range of Viro security cabinets here. This entry was posted in Safes and tagged safes, technology on 9 March 2015 by Mara Rossi.